Ek Ladki Ko Dekha Toh Aisa Laga is a light comedy on homosexuality where a young woman finds sexual orientation inclined towards the same gender. She accepts the she’s a lesbian but keeps it close to her heart. And she fears of the family outcry once her desire becomes known. Sweety Chaudhary (Sonam Kapoor) is a young cute girl. She’s career minded but has different sexual orientation. She’s a lesbian but she’s never disclosed her desires on her family or even to friends one of who is a writer and likes her. But her family that includes her proud father Balbir Chaudhary (Anil Kapoor) and an over-caring mother Chatro (Juhi Chawla). Her family wants her to get married soon but Sweety is in a limbo. She fears of the backlash that would follow once she reveals her sexual orientation. The poster has a message “The most unaccepted romance of the year” and this message reveals everything about the movie. It has a bigger picture of the father Anil Kapoor. Daughter Sonam Kapoor and Rajkummar Rao are also in the backdrop. 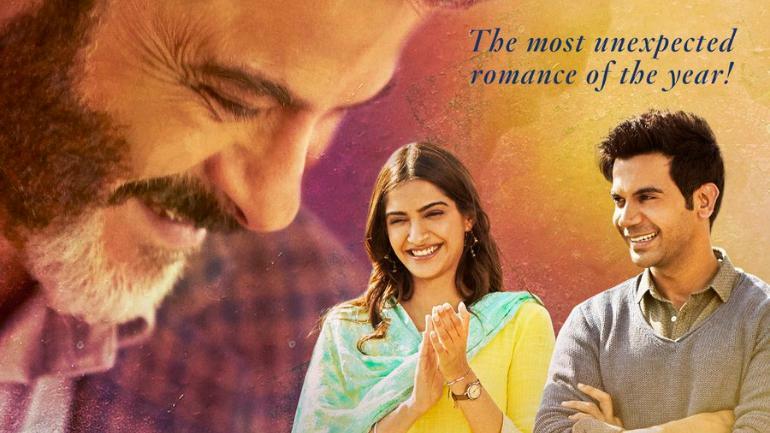 There are many reasons for watching the movie – lesbian relations; Anil Kapoor with Sonam Kapoor; Juhi Chawla with Anil Kapoor and Rajkummar Rao.